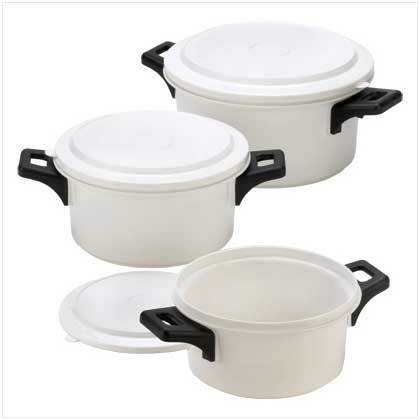 12657 Attractive overhead rack puts your pots and pans right within easy reach; a must-have for any serious chef! 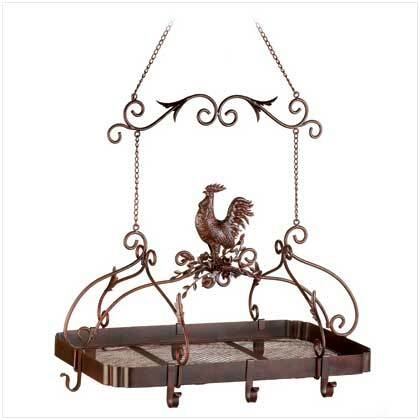 Jaunty rooster and scrollwork theme and rich rust-red finish add informal elegance to your kitchen. Weight 7.8 lbs. Iron. Contents not included. May Require Additional Freight Charge. Some Assembly Required. 23" x 15 3/4" x 34" high. 15249k Get the tools you need to make a great meal! This set features five high-quality knives designed with solid blades and comfortable handles as well as a handy kitchen fork that will be your go-to tool as you prepare dinner. Item weight: 2.2 lbs. 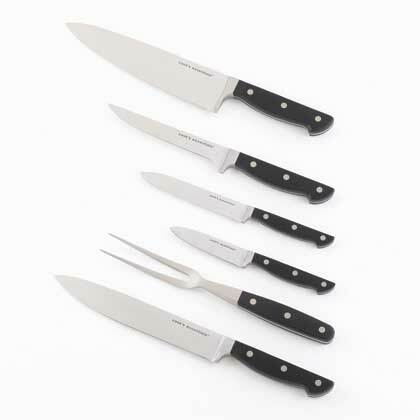 8" Chef knife; 8" carving knife; 6" boning knife; 10½" fork; 5" tomato cutter; 3½" paring knife. Tempered German Steel blades with bakelite handle; full tang blade. Wash by hand in hot soapy water and towel dry. 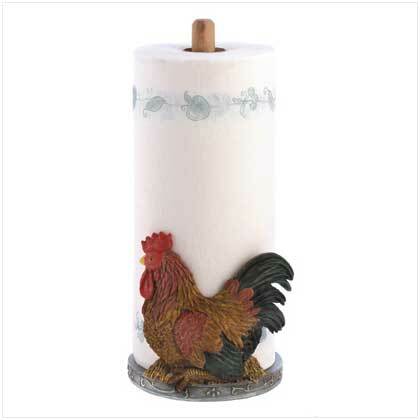 12553 A bright red rooster keeps a fresh roll of paper towels right within easy reach. Colorful country style is easy with this clever countertop companion! Weight 1.3 lbs. Resin and wood. Paper towel not included. 5 1/2" diameter x 12" high.